Since the bout of severe weather in early March, our hospitals have been under extreme pressure with high demand for urgent care services. Because of the added strain on all care services, there are additional difficulties discharging people from a hospital bed. We are asking relatives and friends to help us by collecting and supporting patients immediately when they are ready to leave hospital. As in other parts of the country, patient choice on care placement has had to be suspended. 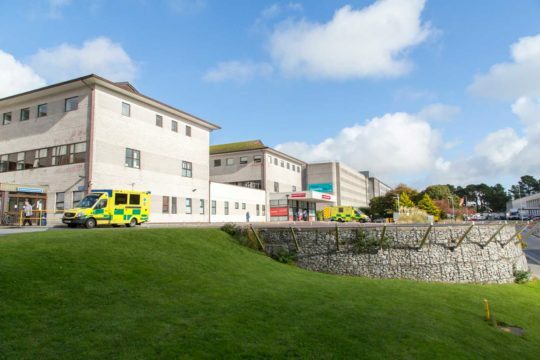 This means patients who are medically well enough to go to another care placement must take the first bed available in Cornwall so that we can make space to accommodate more urgent patients. If you can help us today by using an alternative service or ensuring a relative or friend gets home quickly then we would be extremely grateful and you would help us focus our resources on those most in need of urgent medical treatment.